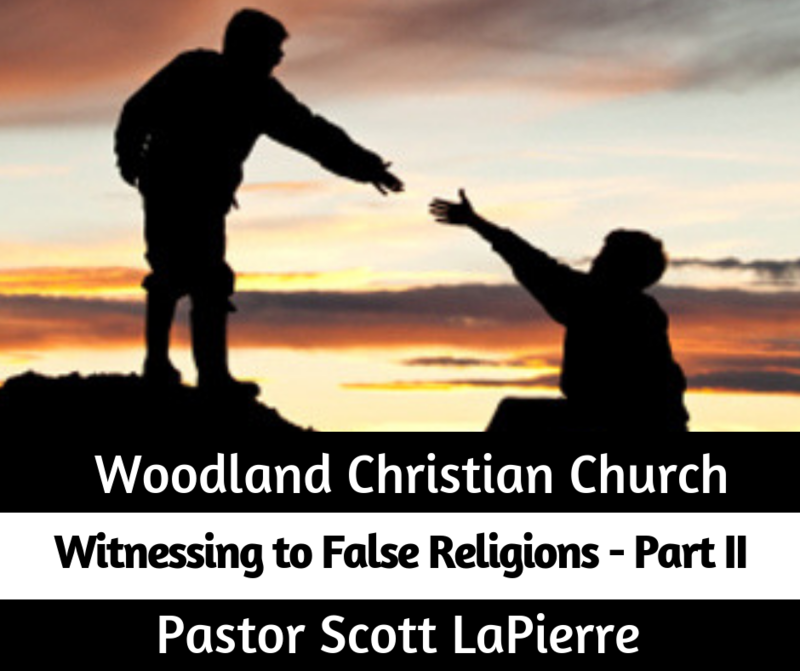 Go to "Witnessing to False Religions – Part II"
Lesson 1: We ________ ________ ______ to share the Gospel with false religions, because they surround us (Acts 13:22-41). Lesson 2: Outreach begins with __ ____________ (Acts 17:16; 1 Cor 8:4-6, 10:20). Lesson 3: Burden ______________ ____________ is worthless (Acts 17:17; Jam 2:14-16). Lesson 4: We ________ ____ ____ people, versus expecting them to come to us (Acts 17:17; Matt 28:19). Day 1: Read Acts 17:16-34 and discuss: What prompted Paul to say anything at all, in Athens? Answer by pointing to what he encountered, in the city (externally), but also describe his inner motivation(s) - what prompted him, internally, to speak to the Athenians? Day 2: Read Acts 17:16-34 and discuss: What burden(s) have you had for someone you know, or a group of people you know? What has God led you to do in an obedient response to that burden? How can your church family help you respond to what you are led to address? Day 3: Read Acts 17:16-34 and discuss: What internal attitudes have kept you from obeying the Great Commission? What “open doors” exist in your relationships with unbelievers? What “open doors” are you missing, ignoring, or neglecting?